Photographer Sandy Weedman captures the dory fleet as they go to sea and return to the sands of Cape Kiwanda. 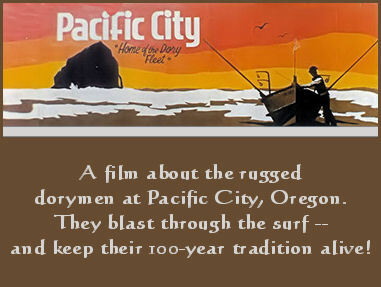 This slideshow features the historic and unique fishermen and women of Pacific City, Oregon, set to the nusic of Bradley Joseph and Michael W. Smith. You'll be thrilled and inspired by the artistry Weedman displays with her ability to bring the ever-changing seascapes to your screen. Dory fishing at Kiwanda is a 100 year-old tradition, and the fleet is thankful to have Sandy as a friend. Donated to the Pacific City Dorymens Association, Inc. by Sandy Weedman, pcphotolady.webs.com. 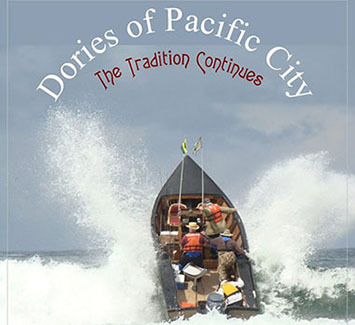 The "Home of the Dory Fleet" brings to life--for the first time-- a collection of films that include the thrills and spills of dorymen in the 1950's to the rollicking races of the exciting Dory Derbies that lasted nearly 40 years. The film brings us into the 20th century with the fast and reliable boats of today. The dory fleet survived for over 100 years simply out of necessity. When the salmon cannery at the entrance to the Nestucca River closed in 1927, the pioneer dorymen looked to the shelter of Cape Kiwanda and launched their flat-bottomed boats from the beach. And so it remains today -- the only fishery and the only place in the world just like this. We hope you enjoy the film.